Hello beauties, hope you all are doing great…The weather is changing now a days and with this changing weather I also thought to change my beauty tools. I used to be face wash girl in my earlier teens when I think clean & clear face wash was everybody’s favorite. Then in college days when my face gradually became full of blackheads and more dirt I shifted to scrubs. And today I am a regular buyer of scrubs and today I proudly can say that I have used many of them right from tan removal to brightening the skin and daily cleanup. But while one day travelling to mother’s place I forgot my scrub and so used this face wash.
ABOUT:: Exposure to sun, pollution and harsh environmental conditions makes skin appear dull and dark. 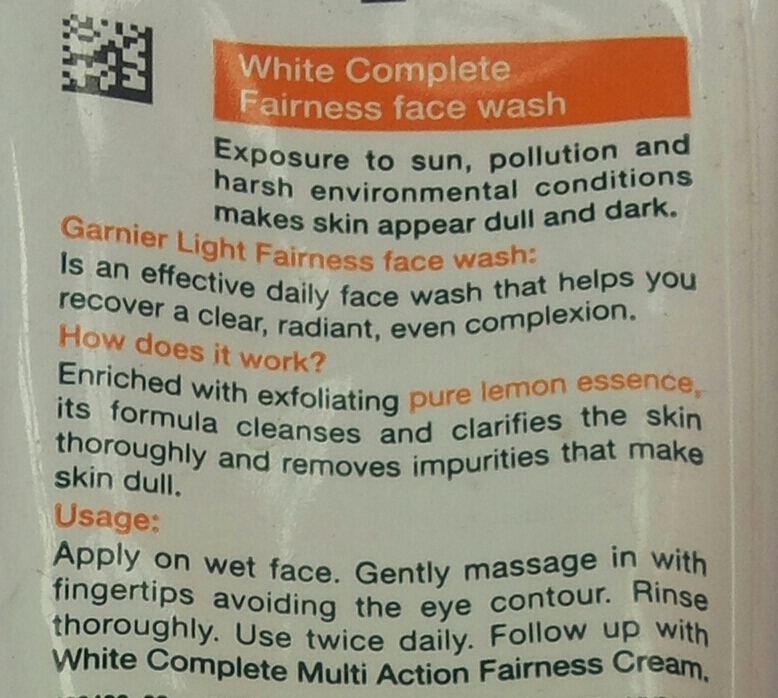 Garnier Light Fairness face wash is an effective daily face wash that helps you recover a clear, radiant, even complexion.Enriched with exfoliating pure lemon essence, its formula cleanses and clarifies the skin thoroughly and removes impurities that make the skin dull. 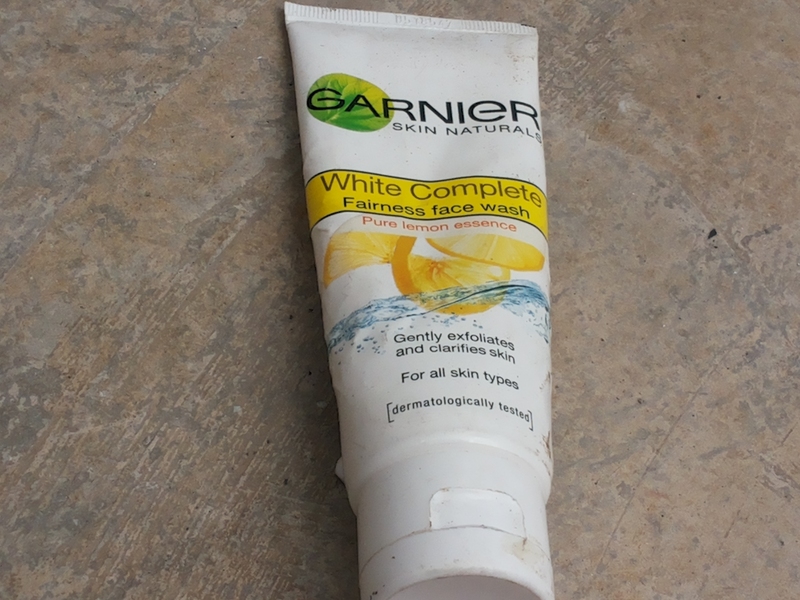 MY VIEWS:Garnier white complete fairness face wash comes in regular squeezed tube of bright yellow and white in color. The tube is medium sized with a screw cap which prevents product spillage or damage when pressure is applied on the tube. The packaging is quite travel-friendly. The face wash is thick white in color and creamy texture. Because of the creamy tecture it does not lathers too well and require lots of water to wash it off.It has mild lemon fragrance which disappears as soon as the face wash is washed off. So, sensitive noses you don’t need to worry. The face wash gives squeaky clean face when washed off. But here comes the sad part no whitening or brightening of face can be seen. Yes, I no one should not expect a 100 watt bulb overnight. But even slight of brightness should be seen after cleaning off the face wash. So, as per the company claims there is no brightening effect leave alone the whitening promises. RECOMMENDATION: This is just a regular face wash which only cleanses face. Its mild creamy texture does not even lathers up well. Moreover, requires lots of water to clean out the face. So, for me this face wash does not even performs like regular face wash for me. How is this skin care perfect??? 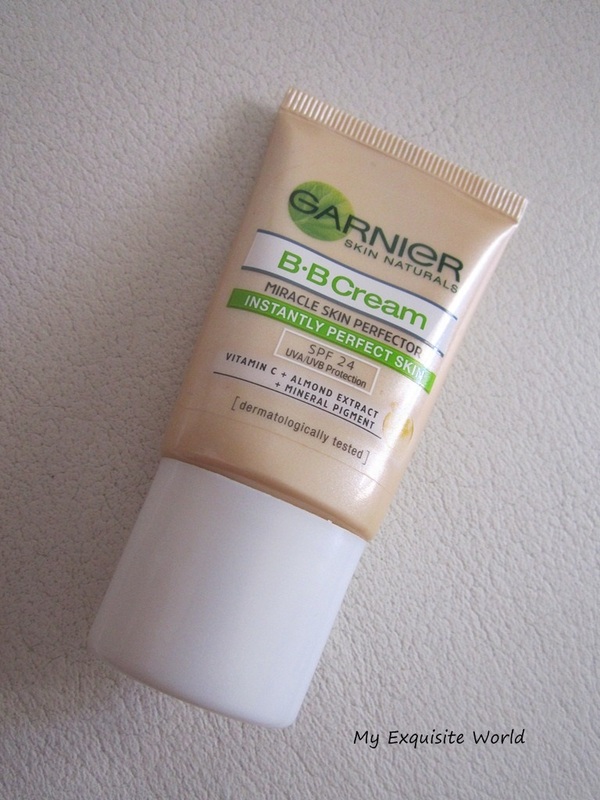 BB cream is a new generation of skin care. 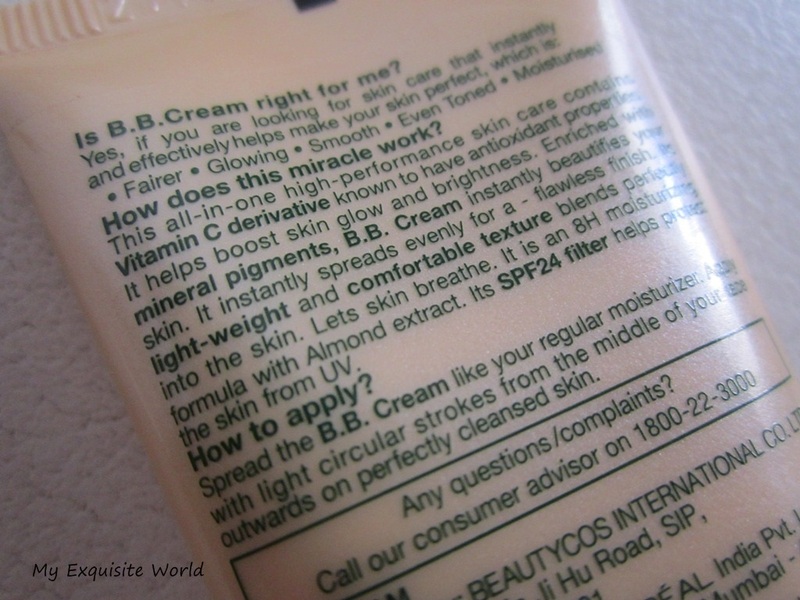 BB cream is an all in one cream. It combines multiple beauty routine steps in one. Hence save time – in just one application brighten, smoothen and moisturize your skin. How does this miracle work? :This all in one high- performance skin care contains vitamin c derivative known to have antioxidant properties. It helps boost skin glow and brightness. Enriched with mineral pigments, B-B cream instantly beautifies your skin. It instantly spreads even for a flawless finish. Its light weight and comfortable texture blends perfectly into the skin. PRICE: rs.99 for 18gm and rs.199 for 40gm. PACKAGING :The packaging is very simple with a beige outer cover that is opaque having a white cap.It is travel freindly. 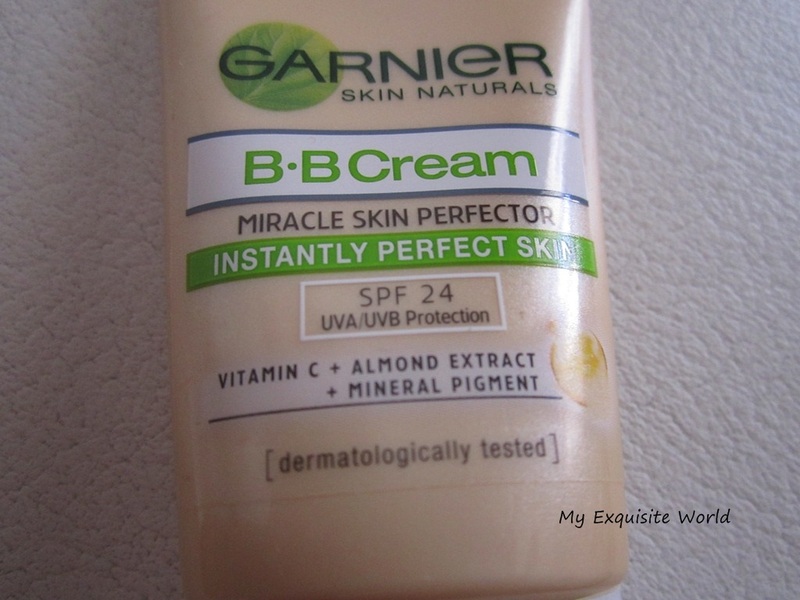 OVERALL PERFORMANCE:The garnier BB cream is available only in 1 shade in India. However,it does adjusts to every skin tone and provides a healthy,dewy glow to face. On application,it does provide a bit of white cast on my face but becomes normal within 3-5 minutes. 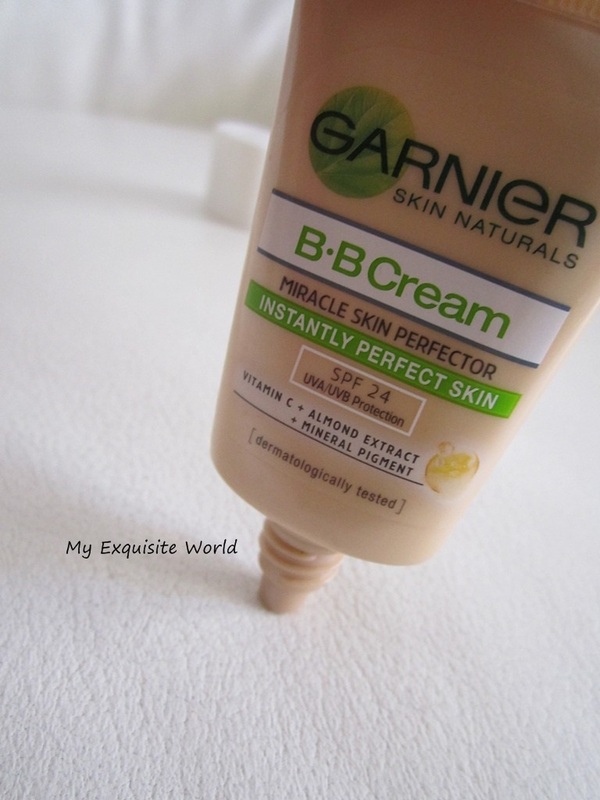 The texture of the BB cream is niether very runny nor very thick but spreads out easily.It is very hydratign and moisturising. 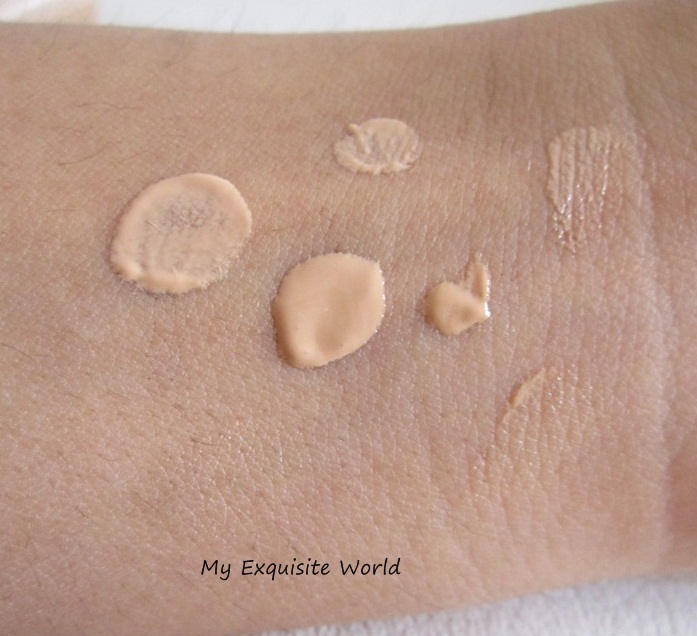 The coverage is very light but sufficient to even out skin tone and cover minor redness.But major problem areas need concealer. Finish is dewy but not very much.It gives a healthy glow ot face. I like how light it feels on face and blends easily.I mostly apply it with my fingers.It also has SPF 24 that gives UVA/UVB protection along with Vitamin C that works as antioxidants. L-R: bare hand,with bb cream,blended!! It has a pleasant fragrance which may be overpowering for sensitive noses but it smells good and the fragrance lingers for quite sometime.Staying power is around 5-6 hours which is pretty decent. I mostly use it under my foundation for added benefits. available in a smaller size also. provides a healthy glow to face. might not be liked by those who have sensitive noses as the fragrance is slightly overpowering though pleasant. RECOMMENDATION: It is a great product and good for teenagers and college students who light natural coverage.It is more of a tinted moutirizer than a bb cream.At the rice it comes,it is definitelty a great product.I would recommend buying the smaller packaging first. 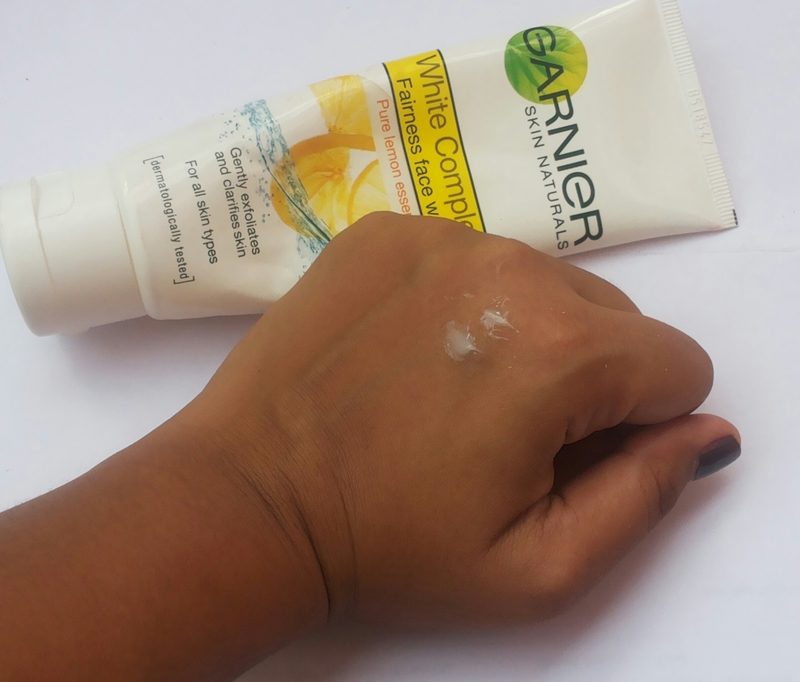 Have you tried Garnier Miracle skin perfector?? ?